I wrote a post a few days ago, Is Twitter a Complex Adaptive System?, that proposed the idea that Twitter may be evolving into an entity of sorts, a collective intelligence. I’ve come across some new posts that are amplifying that meme, and I just want to keep the thoughtstream going. He also lays out the key technology trends driving the evolution. Among them are Ubiquitous Connectivity (broadband, mobile internet), Network Computing (SaaS, P2P, cloud computing), and Open Information (open APIs, open-source software, OpenID). However, with the rise of the social Web, we see that what truly makes our online experiences meaningful is not necessarily the Web’s ability to approximate human language or to return search results with syntactical exactness….Rather, meaningful and relevant experiences now are born out of the context of our identities and social graph: the pragmatics, or contextual meaning, of our online identities. My Web experience becomes more meaningful and relevant to me when it is layered with contextual social data based on my identity. This is the pragmatic Web. Then she goes into a different direction, talking about business models and Facebook. She finishes by just touching on the implications of the centralization of identity data, which is such an extremely important concept that I need to save that discussion for an entirely separate post. But to begin building your framework for understanding the importance of open technology, bookmark the Peer to Peer Foundation website and the P2P blog. Dave Winer echoed the sentiment of context in his recent post, How (slowly) we add metadata to tweets, in reference to the new retweet feature on Twitter and issues about attribution. He links to an article by Alex Bowyer, A better design for twitter retweets, which is a very well thought out post that deserves to be read. 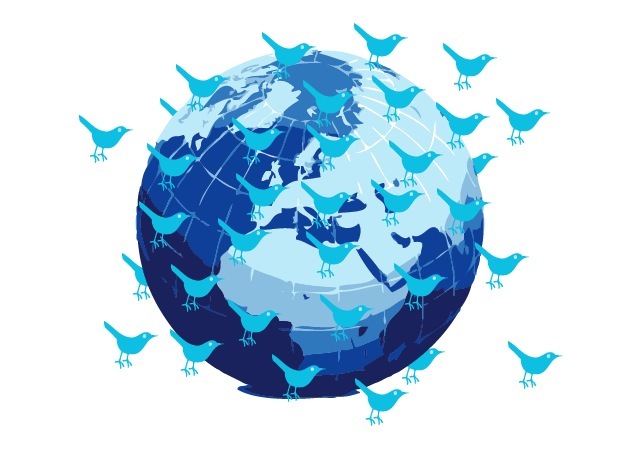 I then found this article by Dean Pomerleau, titled Twitter and the Global Brain. He starts by explaining that some recent evidence in neuroscience has suggested a new model for understanding how the brain is altered during learning. He then makes a correlation between that process and the emerging structure and function of the real-time web, i.e. Twitter. Imagine a twitter user as a neuron. He/she makes the equivalent of a synapse with each of his/her followers. When a twitter user sends out a tweet, it is the equivalent of a neuron firing. Followers who receive the tweet decide whether to propagate the activity by retweeting the message, in a sense by deciding whether they too should fire in response to the tweet. He acknowledges that this is not exactly how Twitter works yet, but he goes through some interesting examples of how it could work, and if that system became automated, it could signal the emergence of a type of Global Brain. I think he’s done a very good job of distilling this concept into terms that are understandable to the layman. to exploit ieml-related tools and methods for the study of information economy, the improvement of knowledge management and the growth of collective intelligence. On the site, I found this document by Pierre Levy , the team’s Director, titled From social computing to reflexive collective intelligence: The IEML research program (PDF), which appears to be due for publication in the Information Sciences journal in 2010. It’s a dense 25 page paper, but I see a lot of correlation between what he’s proposing and what I’m proposing with the Metathinking concept. Essentially, he’s saying that we need a new language infrastructure for the web in order for it to evolve to the sematic web stage. I’ve been echoing that thought by proposing we need a new thought architecture in order to process the new types of information that we’re encountering. This ‘new language’ Levy describes seems to be the necessary structure that would have to be created in order for Pomerleau’s ‘Global Brain’ to emerge. This all seems to be brought together beautifully by the Guardian article, After social networks, what’s next? In it, venture capitalist Peter Theil answers the question by asking us to evaluate what stage we’re at with social networks, and reminding us that we often don’t realize the implications of what we’re seeing even when it’s staring us right in the face. Have we transitioned to Web 3.0? I’m so glad I was able to write this post on Thanksgiving. I’m thankful to my network for giving me the information that inspired this post. Thank you all! Web 3.0 – yes. But, I think, when seen from a different direction, web 3.0 is humanity 3.0. It is not a technology shift, it is a collective beingness shift, for those of us who are engaged, with the technology acting as enabling infrastructure. I see web 3.0 as the spiritual web. Where by spiritual I mean the knowing that we are both individual consciousness as well as parts of a much larger, interconnected consciousness, the noosphere, that is an emergent phenomenon of the biosphere. Web 3.0 enables spiritual awareness. It is not about bringing intelligence, or spirituality to the machines, it is about the technology amplifying our latent awareness to move beyond ego positions. I also think that we need to move beyond the concept of collective intelligence to the concept of collective wisdom. Intelligence tends to the linear, and is not predicated upon values. Intelligence built the gas chambers in Auschwitz. Wisdom is intelligence in the service of values, and tends to an understanding of complex, adaptive systems and emergence. Logos and mythos. As always, thank you for taking the time to contribute your thoughts and toss out breadcrumbs to make me smarter. I enjoyed the post by Mark Pesce that you provided, I’m following him now too (@mpesce). A lot of what he addresses in the front end of the essay, about the technological progress throughout civilization, is covered in Ray Kurzweil’s 2001 essay, The Law of Accelerating Returns (http://www.kurzweilai.net/articles/art0134.html?printable=1). I completely agree with you about the spiritual web. I think it’s really interesting to watch all these field/schools of thought beginning to merge as we realize we’re all talking about the same thing. I think social technologies are giving us the ability to really understand each other on a global level. Sometimes I think about the whole 2012 thing and the end of the Mayan calendar, and wonder if it signals the end of an era, that sometime within the next few years we’ll reach a critical mass of people who “wake up”, and that tipping point will lead us into the next phase of humanity. Strongly agree! We live in eye of a revolution and twitter is the revolution inside revolution. I enjoyed your article. It’s great to have found another futurist on the scene. In response to your question, I don’t think the Web is going through versions. I think the whole 1, 2, and 3.0 thing is a convenient way to confuse people about what is really occurring on the Internet. New terminology trying to capture a “phase” of what the web is going through, fail to capture anything really meaningful, at this point. Of course, history will be written by those who write the most widely accepted and understood terminology, so maybe versioning is a good way to do it. The Internet, in my opinion, is set to become the infrastructure that supports the ongoing development of human consciousness, memory, and expression. I can’t wait till it happens in Web 7.5 or will it be Web 37.09? 🙂 I guess my point is the Web is here, and no matter what version it’s at, we need to decide what products will make it useful for harnessing our “collective wisdom”(nicely put D.Hodgson). Does “thought architecture” equate to advanced data management? If yes, I agree with you, otherwise I don’t know what you mean. I’m also pretty sure that we don’t really have any “new types of information”. If you’re referring to the new social formats, then I kind of get it, but really the data is the same. It’s all video, audio, and text. The issue is there is no way to see the overall picture of what our “collective intelligence/wisdom” is spewing out into cyberspace. All the same issues that have followed us down the generations will continue to generate the same content over and over, regardless of new technological format or sharing tools. What’s new is the level of sharing and agreement that is forming. What we need is a way to capture the ancient history of today, so that tomorrow’s decisions are based on what we collectively knew and agreed about. This is the challenge posed to centralize information and make it useful, not just widely available. I’m currently working on a project to do just that. Now if only I could finish rewriting the post revealing what it’s about. Thanks for writing! I look forward to future posts. I agree with you, the web is not going through versions. There is a fluid development that’s been in place since the first versions of the internet, which is constantly being updated to give us an experience that is more contextual, meaningful, and relevant. But, it’s part of human nature to quantify and classify things in order to make sense of them. The majority of the population still doesn’t understand social media, and so doesn’t have a frame of reference to understand what’s going on and the societal implications of it. By giving these evolutions ‘buzzwords’ or titles, though they may seem unnecessary, they help to provide a framework for people to understand how those changes relate to their lives, and why they should care. Thanks for asking about thought architecture; being challenged helps me analyze what it is I’m trying to convey. I think that ‘advanced data management’ is a key part of it, at the foundational levels. I’ve found that I’m unable to think deeply and broadly unless I have solid, reliable information to start with, and a system for storing and retrieving that information. So, in that sense, advanced data management *informs* thought architecture. What I’m saying is that a new system of thinking may need to be put into place; a big-picture, systems type of thinking that will facilitate the ability to connect all these fast-flowing pieces of information into something that provides coherence and gives us clues about its relevance to our lives. When I said “new types of information,” I guess what I really meant was that it’s more important than ever to understand the context of the information coming in. If we can’t figure out how it fits into the big picture, it’s just noise. And just as you said, if we don’t know how to look at the mistakes that have already been made, learn from them, and make better decisions based on that knowledge, we’re in trouble. I am tempted to try to recall that insipid Lone Ranger joke when I hear anyone ask whether or not, “we” have finally moved to another generation of the Internet. Perhaps another dimension is more accurate. As far as any collective intelligence, another long-awaited promise, you only have to look at the chats about how many billions will be pumped into the “print’ news, for fear the world will be left with digital information alone to cuddle with on a rainy Sunday. Whatever the actual date of “our” arrival at the next dimension of Interneting, “we” probably won’t be the ones writing about it. Until those who control the pipes onto the desktops around the world, are committed to the equal access for all, we will continue preaching to the choir. I don’t know the reference to the Lone Ranger joke, and I had a little trouble understanding the rest of your post. I didn’t understand the correlation between your reference of print news and collective intelligence, or the comparison of our ‘date of arrival’ with who controls the pipes. Sorry – if you could clarify, I’ll try to give a better response. That is sometimes how [we] feel after more than a dozen years managing several social technology web communities, and trying to offer “new” social services. Even amongst the “early adopters” it can be very lonely. We tried to actually build advertising models for new content using RSS feeds, some are still clinging to existence, but they have yet to find an equilibrium that allows them to pay for their growth, a necessary factor for any new tech to really become assimilated. I doubt anyone will consider bailing them out but what a great way to get information and pay for itself. My reference to the ‘collective intelligence’ and the management of network traffic perhaps was oblique. I only wish those who are in charge of these networks used the collective intelligence of the more enlightened communities to deliver the services to the masses in ways that encourage 3.0. Instead, we are still mired in the same telcom shenanigans from the ’70’s. Politics has had a way of inhibiting any collective intelligence and it often gets ignored by the cognoscenti. It has been cool watching all these amazing technologies go by, but our wish is that they would be embraced because they are exciting and new, rather than ignored simply because they are new and challenging. Our schools, the vast majority, haven’t a clue how to use these effectively, nor are they getting any collective intelligence on how to do so. Business is committed to doing only what drives quarterly revenue, and that is another obstacle. Sure you can find exceptions, but, for the most part, we are alone. The subject of how things can be, using the available knowledge, will be lifted on high, if we can get past the detours of old politics, like bailing out old technologies and instead incentivize thought leaders. I do feel there some things we can do like speak loudly about the need for critical mass, for all to at least have the opportunity to make new communities. The cultural obstacles should not be that difficult to navigate, if we demand some of the same goals. I apologize for my earlier muttering. Thanks for clarifying, Robert. Now I understand, and I agree. There is an amazing opportunity, but the institutions and systems of control in society are still in place, and preventing us to move forward more quickly. And as you said, without the training of how to leverage these technologies, it’s just another shiny toy with an untapped use-value. I am so glad to have found your post – you’ve put my own thoughts about Twitter into some very compelling words. And thanks for all the links to what appear to be some important papers I need to read. I’ve been writing about complex systems and emergence for awhile, including self-organizing systems, and ever since I discovered Twitter (almost exactly one year ago) I have sensed that it is a very exciting example of a self-organizing system. I’ve been wanting to write a blog post about this for months, but you beat me to it! Thanks for the great article and for doing the background reading for me. 🙂 You’ve gained a new fan — I will be following your blog from now on. Thanks Raima. Do you post any of your thoughts on CAS and emergence? I’m curious to see your ideas. Please give me a link to your blog if you have one! Hi Vanessa. Interesting post. However, I don’t think we’ve quite reached web 3.0 yet. For me, there doesn’t seem to be a big enough of a shift between how the web is now versus how it was 2-3 years ago. My basis for comparison is the change from web 1.0 to web 2.0 — I can remember when AOL thought wasthe entire internet, way back before blogs, video streaming, and certainly any social media concept (beyond a chat room or discussion board) was in existence. As for 3.0, I agree with Spivak that it will require more mainstream ubiquitous connectivity. In my opinion, only extremely high-end web enabled phones like the iPhone qualify. I think we’re also going to need more RSS-type “permission-based content comes to the viewer” type integration across the entire web. I believe we’ll have a much more clear grasp on 3.0 in about a year and I predict that Google’s OS, along with Wave, will certainly spearhead things. I’ve been thinking about RSS lately too. What do you mean by ‘needing a more RSS-type permission-based content’?, and what are your thoughts about Google OS and Wave that makes you think they’re gamechangers? RSS stuff — I think for many of us, our web experience is largely driven by searching for things. That’s why Google/SEO/Page Rank/etc., is so important. I’ve also observed a lot of hassle and inefficiencies surrounding video. Its hard to stay organized and have an RSS-type system for watching Grey’s Anatomy on ABC.com, YouTube, and miscellaneous video all over. YouTube subscriptions could be more user-friendly and Hulu has a “que,” which emails me when new shows are ready, but even this is still a little clunky. Essentially, what we’ve done with text-based blogs, we need to apply with video and other media. Google — the new OS will bring more competition to this highly profitable market. It will force Microsoft and Apple to make better OS products just as the Chrome browser gave IE a reason to sweat and crank out a new version. As for Wave — I could see this being a huge productivity breakthrough for the workplace and a new way to communicate in general. Wave is going to allow more people to work on a project simultaneously. It may even change the way we think about and interact with work, and this may have extraordinary impacts on work itself or our relationship to working in groups. And like many big trends, Wave may end up ushering in several unintended benefits/uses. Twenty some years ago, in the SF bay area, a group of folks began meeting up on their bikes on the first Friday of each month. Quickly, it transformed itself from a bunch of people wanting to take a long ride, to a shift in the way a point could be made – critical mass. All sorts of problems ensued from it, and it has morphed back and forth over the years, but not as it it was a few years back, when it was truly disruptive. 3.0 or chatting, is still not near the critical mass, therefore it has yet to attain the momentum that comes with that mass. I suppose it’s closer, but it still seems very far away from changing, or disrupting business. I keep waiting, but it still seems remote and I wonder what can be done to enable it. The issue may be culture catching up with technology long enough to create that positive energy. I don’t think we’ve hit that critical mass for change quite yet either, but it’s coming. In response to your last comment, I don’t think culture will ever catch up with technology at this point. Though humans and their technologies of communication have been co-evolving since the beginning of time, it’s gotten to the point where we don’t even know how to harness the power of what we’ve created. That may be part of the reason why social technologies haven’t been undisputedly disruptive yet – we’re still figuring out how to convert the ability to globally connect into measurable social change. I hope we get there. twitter, hastens the velocity of ignorance, while wisdom marches at its same slow pace ..
i see nothing in social media that makes people wiser ..
One of the questions I’d like you to consider is the idea that the Internet will follow an organic model but more closely to symbiogenesis where after long periods of stasis, a sort of punctuated macromutation through merging, leads to emergence. Consider that single-celled animals floated around the earth for nearly 3 billion years before they decided to merge, and form new organisms necessary to exploit the co-evolving landscape. From autopoietic units, to increasingly complex systems. If this is our default strategy, the time is ripe for consolidation which may lead to emergence. I think we are definitely moving toward web 3.0. A great is example is the #edchat on Tuesdays organized by @shellterrell. It’s clearly moving toward a collective intelligence sharing on the specified topic of that #edchat. Of course, discussions continue beyond the event with new “synapses” made between people w/similar interests who were not previously connected in the same network until that event. Since social media presumes a contribution of participants that means we are each greater, moving further along, by the contribution of each. When this power is turned toward solving issues, problems, brainstorming, it is tremendous. I agree, I think the #edchats are such a great idea – weekly tweetstorms to keep each other informed of new techniques and best practices for integrating social technologies into the classroom. I think that kind of stuff is really going to help get teachers on board who are intimidated because they may feel they have no support and don’t know where to turn. How much easier will it be when they realize they have a global network of educators and enthusiasts eager to offer help? I’ve only been reading your blog for a few weeks now, so I haven’t read everything you’ve posted. Your writing is 1) well-written, 2) interesting, and 3) novel. The first few times I visited your blog, I was reminded of Benjamin Bloom’s taxonomy of learning. You’re able to take information, evaluate and analyze it, and apply it to our current situasjon. (Sorry, I used to be a teacher, and am still a big fan of Bloom). I have a lot of thoughts about the Collective Intelligence….One of them is this: Which language does the “Collective intelligence” speak? I’m a former New Yorker living in Europe, so the language barrier is something I think about often. Can we bring together the collective intelligence of the entire world when a good part of our world can’t communicate in English? What are your thoughts on this? Also, you mentioned that maybe the Collective Intelligence could help solve some of the world’s problems (which is super). Have you thought about how this could happen? Do you think that politicians and world leaders need to get access to this “feed”, or are you thinking that the collective intelligence can change things by other methods? (Sorry, this last question wasn’t formulated too great, I’ve been living in a non-English-speaking country way too long!). Web versioning is not arbitrary. These versions are abstraction layers where one version constitutes the infrastructure for the next. First there was the World Wide Web (1.0), a system for accessing hypertext documents. Then we built a bidirectional system on top of it, for collaboration and networking (2.0). Now we witness how a new layer is formulating where interoperability and personalization are among the key factors (3.0). There will be a next layer that probably uses all this as knowledge-base for a global (semi-)artificial intelligence. And while the technologies that led to each layer advance, the structure remains, and so does the versioning. You didn’t get the point. It’s not about individuals getting wiser by using Twitter. By using it – consciously or not – they contribute to something much bigger, and that’s where you’ll find the collective wisdom that is mentioned here. I’d turn this around and say we don’t know yet how to create something with the technology at hand that we could harness. I think that is why it’s important to have a deeper understanding of the concepts that we think are emerging. So we can design with that in mind. The work of futurists, such as yours, carries great value because of this. I’m myself trying to get a grip on global consciousness, making it measurable, designable. Read my posts on the subject and let me know what you think! Hey there, Thanks a lot just for this nice post! I must bookmark Twitter’s Intelligent, Welcome to Web 3.0 emergent by design. Cheers.